Condition: Nice condition. No leaks. Thread in screw lid intact. Clean inside. **Pewter body has usage SCRATCHES & MARKS. **Has a name ENGRAVED - "With Love Christine" (photo to be added). Design: Round body. 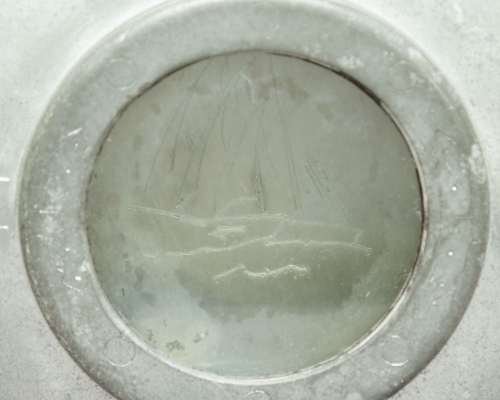 Glass front showing etching of ship on inside of body. 7oz. Pewter. Dimensions: Unpacked weight 160gm. 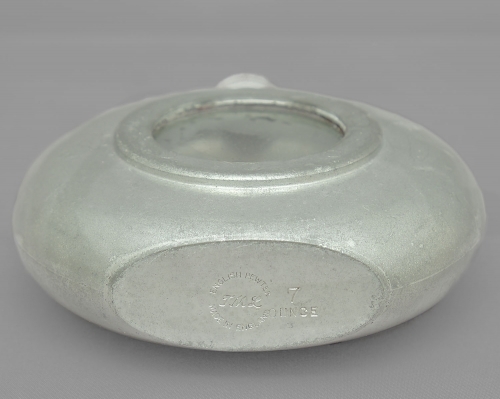 Size:- 4" (10cm) tall (inc. lid) x 3 3/4" (9.5cm) width across body. 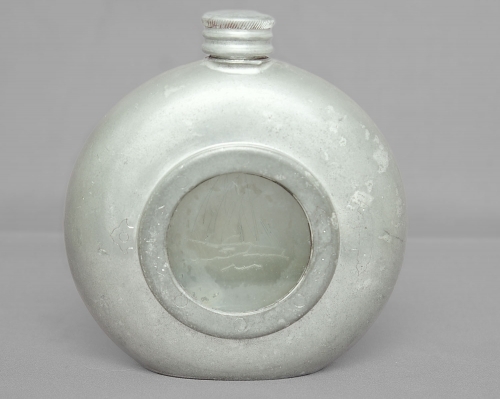 Hallmark: TML, English Pewter. 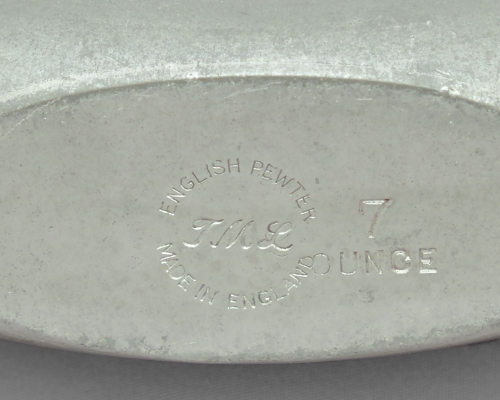 Made in England, 7oz. 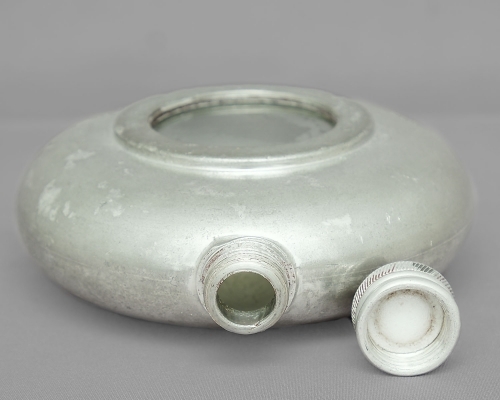 *Vintage items can often have age marks to surfaces which are not easily spotted. *Sometimes, due to age, a SET may not exactly match in shape and colours. *Vintage items will NOT be the quality of new, but will be the quality of collectable. Equally, sometimes colours may not be exactly as portrayed in the photograph, due to flash. We do our best to show our products but it isn't always obvious that it may differ slightly in shade.